I know that it is hard to believe, but it is almost that time of the year again. Since next Tuesday’s election results just might kill me, I thought I would get an early start, and why not? Although I wrote my first Christmas Review for Ruthless in 2006, I did not start writing reviews in earnest until late in 2013. Since then I have written approximately 40 Christmas Movie reviews that include charming classics like the 1951 Alastair Sim version of A Christmas Carol ,and steaming loaves of Fail like Elves and Santa Claus (1959). I try to not even think about the brain cancer known as Santa Claus and the Ice Cream Bunny. However, there is one movie that I have refused to review until now. 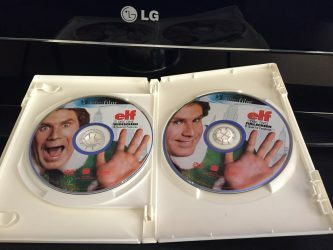 That movie is Elf, and the reason is Will Ferrell. Will Ferrell is not funny. Will Ferrell is not cute. Will Ferrell should never be let near a movie set again. Scratch that, Will Ferrell should be drawn and quartered Braveheart-style if he ever attempts to make a Christmas movie again. To make matters even worse, I had to actually purchase the movie from Amazon for .01 + shipping. Even though I paid with Discover cashback points, I still feel like I had been rougered by Bernie Madoff for having to fulfill the purchase. Hey! 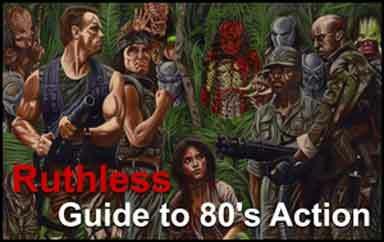 2-discs, Full screen or Widescreen, does it really even matter? Why am I doing this you ask? Why am I planning on watching a full 97 excruciating minutes of Will Ferrell? I don’t know, and the things I do for Erich and Ruthless, and we are not even dating. No, I haven’t even watched the movie yet and my already condemned soul is filled with bile and poison. Please pray for me as I will watch it all, and with an open mind. On to the review. Will Ferrell was a human who was dropped on his head at birth and delivered by mistake to the North Pole. He was subsequently raised by elves and worked in Santa’s workshop. Ferrell, of course, because of his extensive brain damage thought that he was an elf and just could not understand why he didn’t fit in. Despondent and stupid, he headed to New York City (where else?) to try to reunite with his biological father. Chaos ensued and Ferrell predictably infected and overwhelmed everyone he encountered with his unamusing malignancy. It took me two days to watch this goat-awful movie. Will Ferrell was horrible, unacceptable and excruciatingly not funny. He was six feet and 3 inches of self-propelled disastrous garbage, walking the streets of New York in an elf suit. The dialogue of this movie was DOA, as there was not one single line that was original, not predictable or remotely humorous. I knew this movie was going to be bad, but nothing could prepare me for the nearly two hours of endless and needless ham-fisted stupidity. Will Ferrell bricks and destroys everything and everyone in this film. I won’t even go into the plot, because if you are unfortunate enough to have to watch this movie, you can smell the plot from the North Pole to New York City. James Caan, who played Buddy’s biological father, was horrible in this film that ultimately destroyed his career. (See his next movie outing, Santa’s Slay). It was painfully obvious that Caan did not want to be in this film, and his acting showed this. What we really needed to see was for Caan to beat the idiot Buddy into a bloody pulp, Sonny Corleone style, like he did to Carlo in The Godfather. What we got instead (of course!) was for Walter to experience redemption and embrace his retarded elf-son and…and…to join forces together to save Santa and CHRISTMAS! Hell Yes! What a novel concept! The last 20 minutes of the film were beyond torturous to watch. 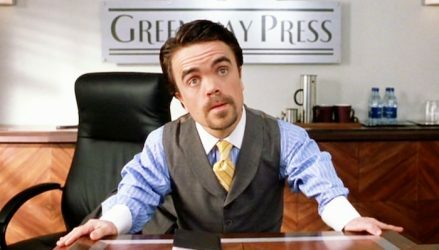 Not even the great Peter Dinklage could throw a lifeline to this movie, and of course they squandered his brief cameo with a lame, safe and predictable scene about his size. Elf was horrible, inexcusable and inexplicable garbage. What is so infuriating is that Elf could have been made watchable, but no, Will Ferrell, David Berenbaum and Jon Favreau took care of that for us in with their efforts in this disgusting film. There is one particular scene in the movie that really highlights this holiday disaster of a movie. I don’t know if the perpetrators of this crime of a movie stole material from the Christmas classic, Bad Santa, and it really doesn’t matter, but compare the two department store Santa scenes. The one in Bad Santa was brilliantly done, with a drunken Willie laying waste to the Christmas wonderland and even punching a reindeer. Compare this to Ferrell’s puerile and whiny attack on Santa in Elf. That scene was downright embarrassing. 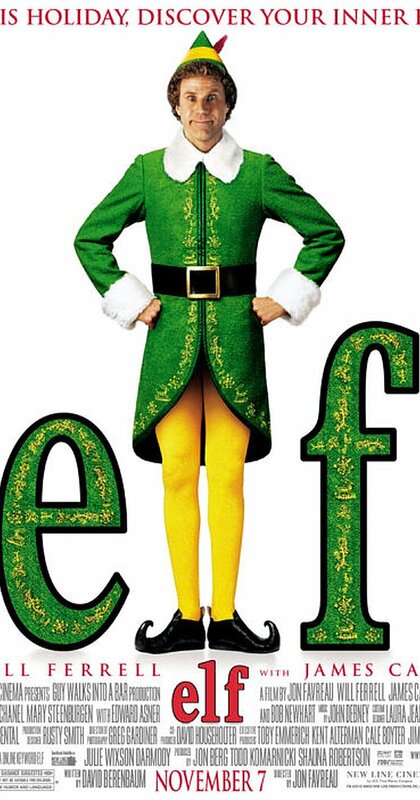 Elf was much beyond just a failed comedy or another predictable Christmas exploitative movie. 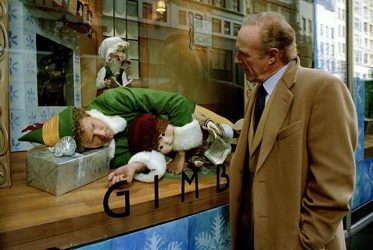 Elf was not just an atrocity as a movie, but it was beyond creepy, and not in a good way, and I have watched a number of very creepy Christmas movies. Oh, and I haven’t even mentioned Zoey Deschanel and her singing, because we just need to believe! The only thing that could have possibly made it worse is if Adam Sandler had been cast as Buddy, and that is just a terrifying thought. Ho-Ho-Ho. Even if you are 6 ft. 3 in., and dressed like a enormous neon-turd, and have the street smarts of a toddler, you can wander around undetected in a major department store all night and make cut-out snowflakes. The number of times this movie took your mind off the election. ZERO. Millions loved this movie and they will be voting.